Modern virtual reality has been a topic of discussion for the last few years, but where did it all begin? With the rising popularity of virtual reality devices like the HTC Vive and Oculus Rift, more and more users are being introduced to the revolutionary technology which has continued to progress rapidly in recent years. Technology that used to be something out of science fiction movies is slowly becoming accessible to the everyday consumer. For most consumers, seamless total immersion in VR worlds is not quite available yet — however, it is reasonable to think that the ability to have near-complete immersion in a VR setting is only a few years away. ALL OF THIS RAPID CHANGE BEGS THE QUESTION: WHERE DID VIRTUAL REALITY GET ITS START? At this point, there is not much that resembles VR as we know it today, but foundations for current visualization technology can be seen as early as the mid-1800s. 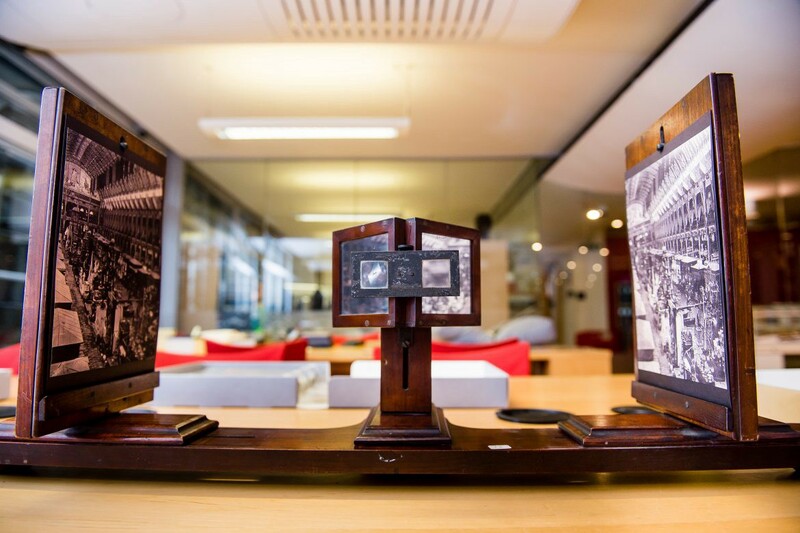 Charles Wheatstone invented the earliest form of the stereoscope in 1838, which utilized the brain’s capability to fuse two slightly different images into one, by isolating a fixed image over each eye — creating a three-dimensional effect. Wheatstone’s stereoscope introduced depth and immersion into two-dimensional images through manipulating the brain’s depth perception. Though the 1800s stereoscope is primitive technology by today’s standards, current products such as Google Cardboard and other mobile phone VR displays utilize nearly identical methods for creating a sense of depth. Before 1900, VR technology was limited to optical tricks, but after the turn of the century, inventors began to create more sophisticated VR and simulation devices. The 1920s also gave us the first large-scale practical usage of VR technology — flight simulation. In 1929, Edwin Link invented the first flight simulator, dubbed the “Link Trainer” or “Blue Box.” Link’s flight simulator incorporated a fuselage replica with controls and motors to help airmen experience operating a plane before jumping into the real thing, therefore streamlining the training process. During World War II, over 500,000 airmen were trained using Link’s invention. In 1935, Stanley G. Weinbaum’s short story “Pygmalion’s Spectacles” effectively predicted modern-day VR technology. The book features a pair of goggles that let the wearer travel through a holographic simulation of fictional experiences — a kind of precursor to current VR technology. The 1950s is where VR devices started to take similar shape to the familiar iterations that are commonplace today. 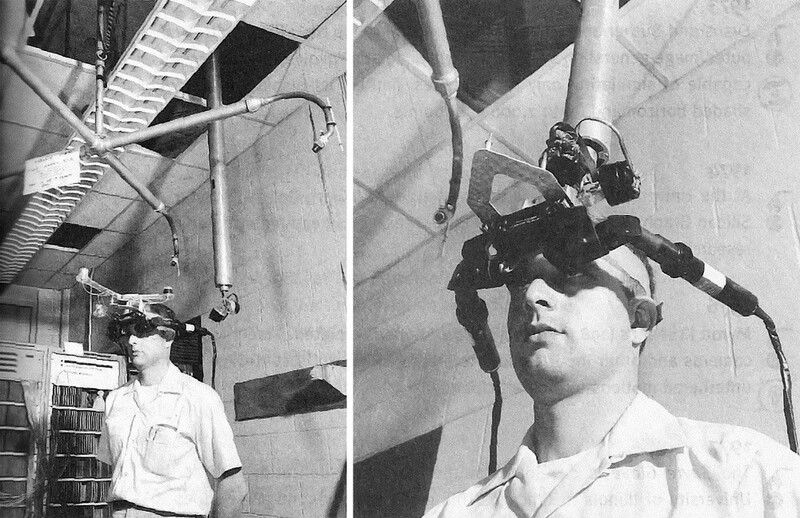 Stanley Weinbaum’s earlier prediction of VR goggles was not too far off, and the first models of head-mounted displays (HMDs) were debuted in the 1950s and 1960s. A vintage gem of a home video of Morton Heilig describing his Sensorama. Cinematographer Morton Heilig wrote on a medium he named “Experience Theatre,” something that would be able to fully encompass and immerse the viewer into the film playing. 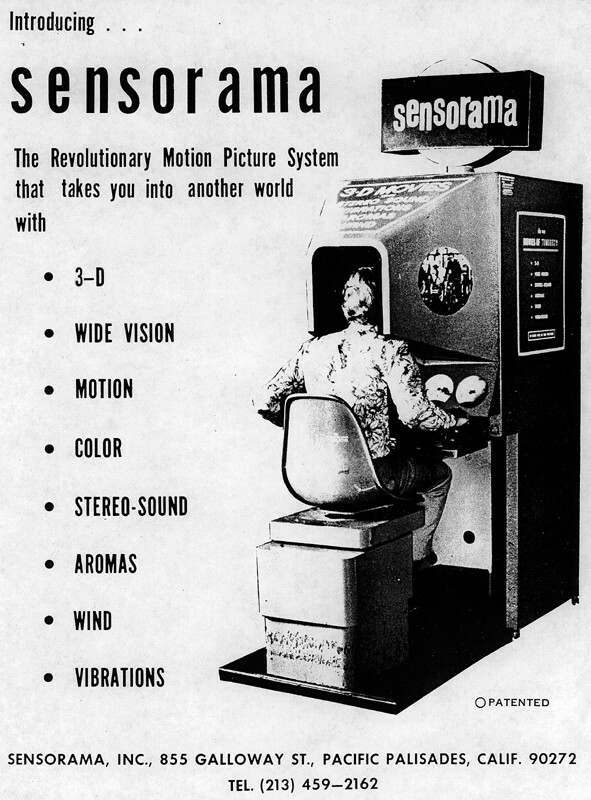 In 1962, Heilig released his first prototype of the machine he had envisioned, dubbed the “Sensorama.” He also debuted a collection of five short films with the Sensorama, and Heilig’s invention incorporated sight, sound, touch, and smell into the viewing experience. In 1960, Heilig patented the Telesphere Mask, which featured a 3D stereoscopic display. The Telesphere Mask was a kind of first iteration of a HMD, though Heilig’s invention did not feature motion tracking, and was fully mechanical — without connection to a computer. In 1968, Ivan Sutherland and his student Bob Sproull created the first HMD for use in immersive applications, which was also the first HMD with motion tracking and computer connectivity. By modern comparison, the viewing experience was extremely primitive, and the device was so heavy that it had to be mounted to the ceiling for support. Its enormous size perhaps led to its name, “The Sword of Damocles.” Though the display showed only wire-frame models, it was revolutionary for the time, and provided the foundation for motion tracking HMDs that are commonplace today. As the age of computers surged forward, advancement in VR technology progressed rapidly. We began to see applications of VR in video games, and the first virtual worlds were created, although they would be considered to be quite primitive by today’s standards. 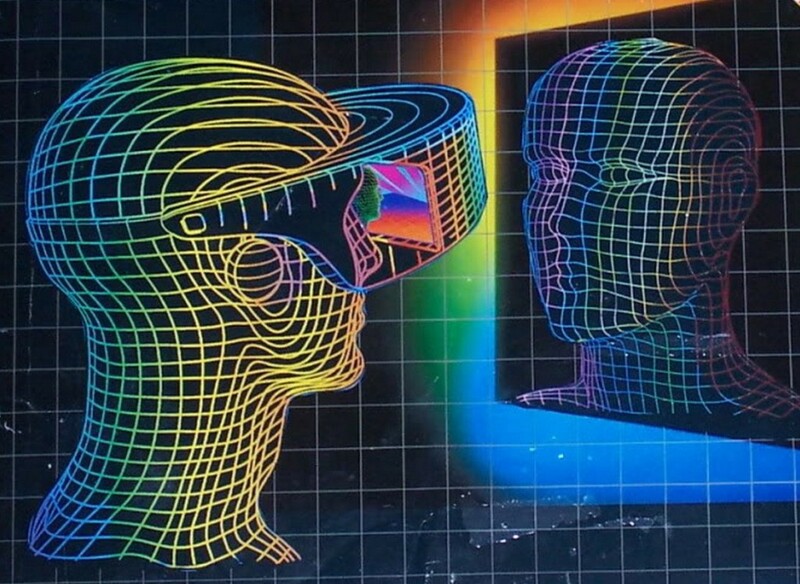 The widely used term “virtual reality” was also created and popularized during the 80s. In 1978, a team from MIT developed the “Aspen Moviemap,” an early hypermedia system that allowed users to take a virtual tour through Aspen, Colorado. The program was a simple simulation of the city, and had three modes, summer, winter, and polygons. The first two modes were completely based on photographs — the team physically walked through the city, photographing every inch of the city streets where possible. The polygon mode was a crude 3D model of the city. In 1982 Atari founded a virtual reality research lab, but was forced to shut it down after the 1983 video game market crash. However, members from the Atari team went on to found VPL Research, which created a variety of virtual reality gear, such as the Data Glove, Eye Phone, and Audio Sphere. Co-founder of VPL, Jaron Lanier, is also often credited for coining the term “virtual reality.” VPL eventually licensed the Data Glove to Mattel, who then used the technology to create the not-so-successful Power Glove accessory for the Nintendo Entertainment System (NES). 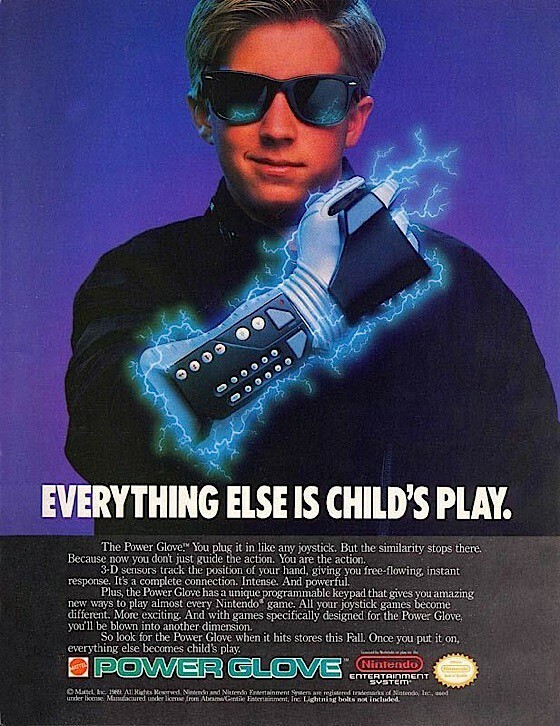 Though the Power Glove was difficult to use and was not very popular, it was one of the earliest affordable VR devices, and has managed to attract somewhat of a cult following through video game, television, and film references. The 1990s and 2000s were an interesting time for VR; many companies tried their hand at creating VR devices, but few were considered commercial successes. However, the technology featured in these devices is essentially the generation preceding our current iterations, such as the Oculus Rift and HTC Vive. The first relatively inexpensive consumer HMDs were made available to the public, and the first versions of head tracking-capable VR devices were created. 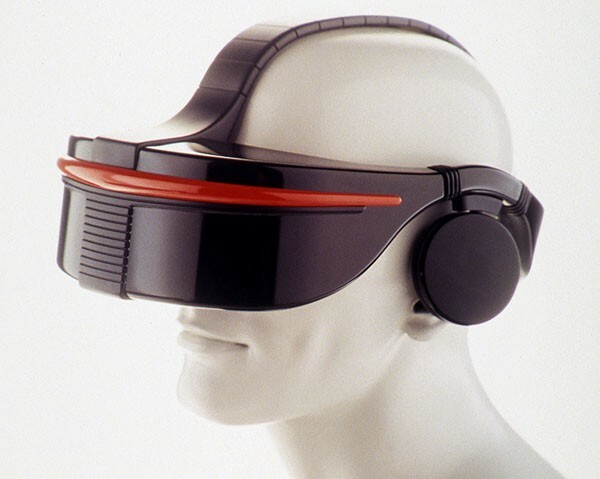 The first consumer grade VR devices were made widely available in the 1990s, and VR technology began to take a similar shape to what we are familiar with today. In 1991, video game giant Sega released the Sega VR headset for use with arcade games, and the HMD incorporated LCD screens, stereo headphones, and a simple inertial sensor that allowed for a primitive version of head tracking. The Virtuality group launched its linked multiplayer VR system in the same year, and gave players the opportunity to play with friends in real-time. The Virtuality system had relatively low latency (<50ms), and stereoscopic 3D visuals in their HMD. 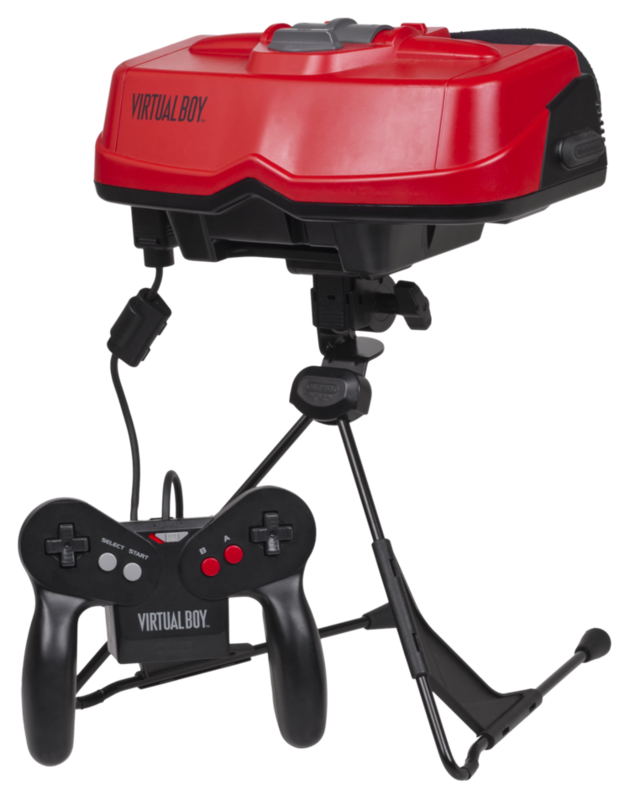 Nintendo’s Virtual Boy was released in 1995, and was the first portable gaming console that could display true 3D graphics. The console was largely a flop — reasons cited were its uncomfortable gaming position, two-color display (red and black), and lack of software support. It was discontinued in 1996, but was one of the first forays into portable VR devices. The 21st century brought breakthroughs in many areas of VR technology, both on the hardware and software sides. Higher-resolution displays and advanced multi-directional motion tracking have been implemented into new HMDs, and game and audio engines have been updated to give VR developers the tools to create more immersive worlds. 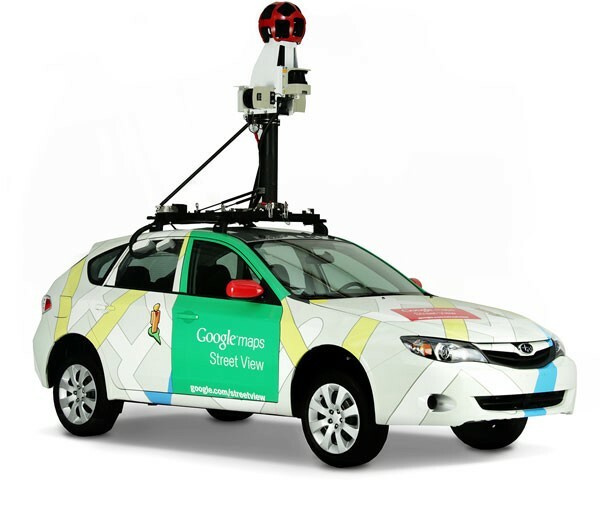 In 2007, Google launched Street View, which allows for a realistic representation of maps throughout the world, and in 2010, a stereoscopic 3D mode was implemented into the service. Street View was one of the first large-scale uses of 360 degree media, something that VR is becoming increasingly connected with in the industry’s current landscape. In 2010, Palmer Luckey debuted the first prototype of the Oculus Rift, and although it was based on a shell of a different 3D headset and was only capable of rotational head tracking, it incorporated a 90-degree field of vision that was revolutionary at the time. It’s also crazy to think that the Oculus is seven years old already! In 2013, gaming giant, Valve, discovered a method to reduce lag and smearing in VR through low-persistence displays, and openly shared the technology. Oculus and other later adopted the technology into their own displays. 2014 was a huge year for VR hardware, with many new headsets mobile devices hitting the market. Valve launched the Steam Sight prototype, which is the precursor to the company’s current headsets on the market. 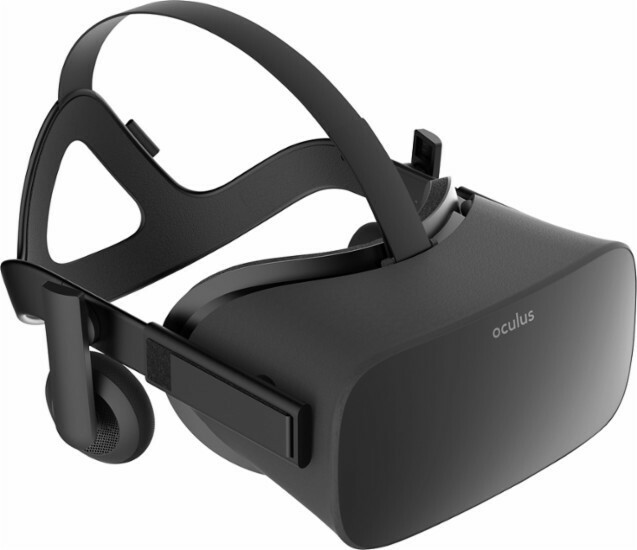 Facebook also purchased Oculus for $2 billion in 2014, before any of the company’s 2012 Kickstarter campaign units had shipped to its backers. In 2014, Sony announced Project Morpheus, which would later debut the PlayStation VR system for the PlayStation 4. 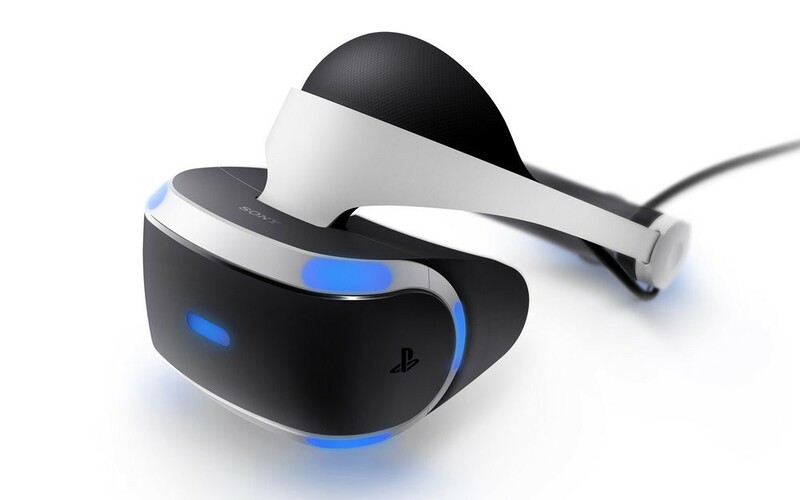 PSVR is one of the most popular and accessible VR devices, and Sony is continuing to facilitate development of games and software for their platform. In 2014, Google announced Cardboard, a do-it-yourself stereoscopic viewer for smartphones (thanks Charles Wheatstone). 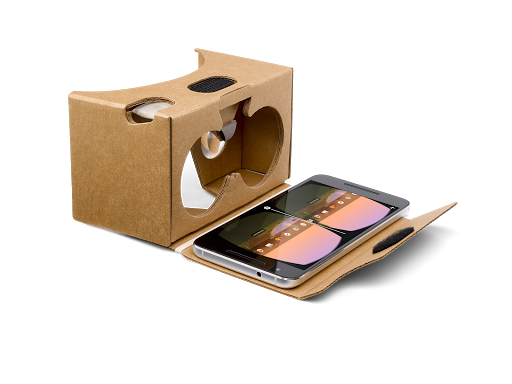 Cardboard is one of the simplest and affordable options to break into the VR world, and only requires a smartphone capable of running VR applications. 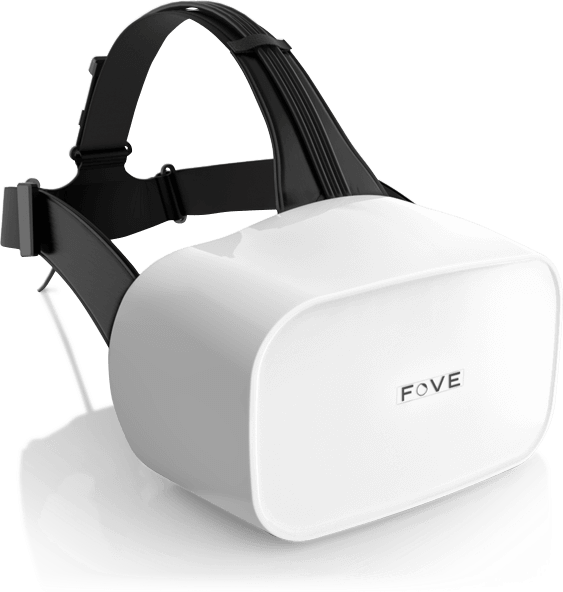 In 2014, FOVE announced the first eye-tracking VR headset, with the goal of raising $250,000 on Kickstarter. The goal was smashed in less than four days, and FOVE has raised over $400,000 for their unique HMD. FOVE’s headset aims to reduce excess head movement, thereby reducing simulator sickness in the process. 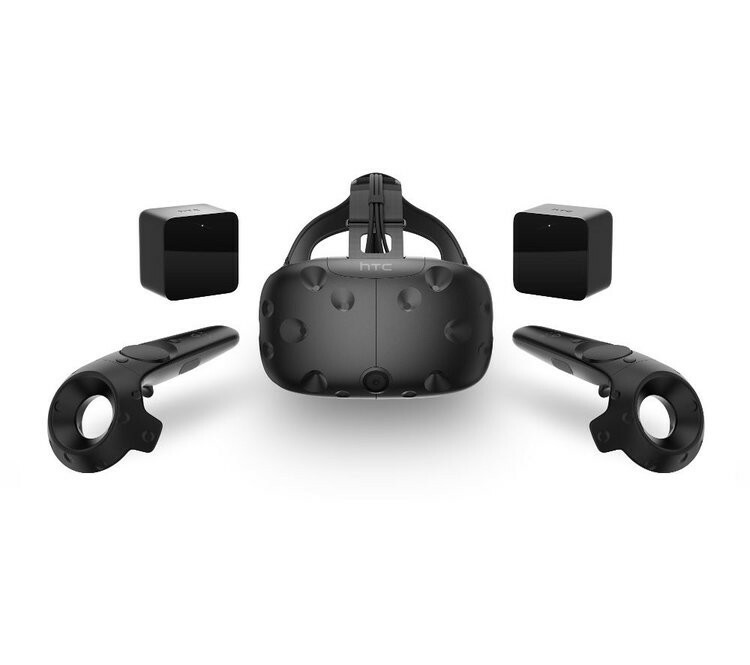 In February 2015, Valve and HTC announced the Vive headset and controllers, which uses room-scale tracking technology, and is considered to be one of the frontrunners of current VR technology. In 2016, focus on accurate HRTF and binaural audio continues to increase as more and more companies are dipping into the VR industry. The development of higher-resolution displays continues to be significant in order to create maximum immersion for the user, as well as the recreation of accurate and realistic sound in headphones like the OSSIC X. In addition to VR hardware manufacturers like HTC, Oculus, and Sony, VR pioneers continue to develop more immersive technology in order to create engaging virtual worlds for consumers to explore. Some are working on virtual platforms for social media and connectivity, some are developing exciting VR games and videos, and others are behind the scenes, developing game and sound engines to provide developers with the tools to keep the industry progressing. 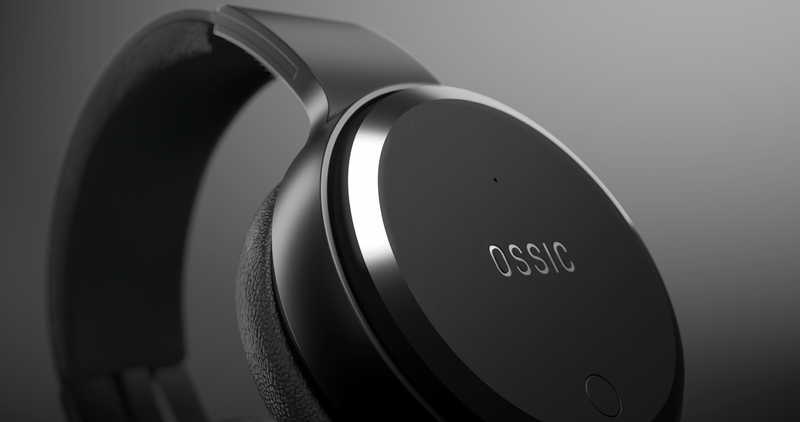 At OSSIC, we are dedicated to providing enthusiasts with truly immersive sound — while our partners push the boundaries of visuals and VR landscapes, we are working to revolutionize the way VR does audio.